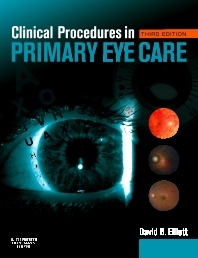 The third edition has been completely revised and updated and is linked with an accompanying website containing large numbers of video-clips and photographs to help explain how tests should be used and to describe the variations in appearance of the normal eye. Simply register at http//evolve.elsevier.com/Elliott/eyecare as a student for your free access. In addition, the book includes an invaluable colour plate section, many additional two-colour line diagrams and a new chapter on systemic health screening and general medical testing. "The contributors and editor have produced a very well organized, direct, simply written, meticulously indexed textbook. Their attention to detail is remarkable...Given the high prevalence of ocular anomalies among optometrists and optometry students, this kind of practical advice would be most welcome."